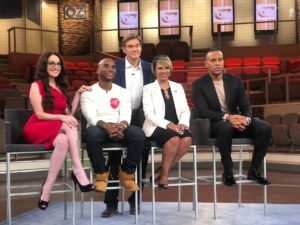 As a mental health professional it is truly an honor to be considered a thought leader by The Dr. Oz Show, and as such appear on a panel of fellow thought leaders, each from a different area of expertise, for the program’s Fall 2018 season premiere. We, the panel, watched the exclusive interview between celebrity Roseanne Barr and Dr. Oz. Then, the panel met together with Dr. Oz where he asked us questions about the interview, and we openly shared our perspectives. In this blog I share 4 videos of the panel’s discussion that did not air on TV. Topics include: mental health, taking ownership, personal growth, and forgiveness. I hope you find it informative. Dr. Oz and his team kindly put online for the viewers each block of the panel’s discussion. Below you will find the breakdown of 4 videos. As TV viewers you may know that what airs on TV sometimes is simply but a portion, a piece of a larger discussion. Often due to television time constraints. Unfortunately, this sometimes results in viewers projecting thoughts that did not occur or making judgements, as they are unaware of all of the context of the discussion. 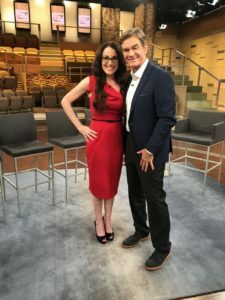 I am hopeful that by my posting below the aforementioned 4 videos The Dr. Oz Show provided online for the viewers, that this will allow my following an opportunity to have the full scoop. As I do see the discussion and the points therein that the panel had as important, and you may as well. Certainly there will be portions you the viewer may agree with and other portions you may not. Just as each of us panelists may not have agreed with each statement the other made. The panel discussion was meant to explore in an open forum, not debate and argue, rather share each person’s perspective. It was meaningful to me to have had the opportunity to discuss mental health in the context of Roseanne’s controversial tweet. My angle provided was through the lens of a mental health position, without judgement nor interpretation as to whether Roseanne is a racist or not (for that is what the media and the public have been discussing since her controversial tweet). Rather my articulations was thematically presented to explain the mental health perspective. I am hopeful that my interview provided education and thoughtful opportunity for the viewers. 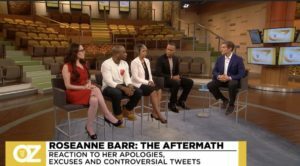 Panel provides initial reaction on Roseanne Barr’s controversial tweet. Dr. Oz asks Dr. Ruskin if she was surprised that Roseanne brought up mental health issues in the context of her tweet. Dr. Ruskin explains steps must be taken when trying to make a concrete change if medication is playing a role in problematic behaviors, in order to take ownership of one’s mental health. Understanding how others feel as a step towards change. Dr. Ruskin discusses that the public does not know Roseanne’s personal growth journey, only what is presented to the public. Dr. Oz asks the panel; should Roseanne be forgiven? 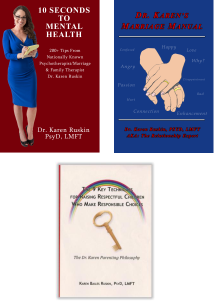 Dr. Ruskin explains from a mental health angle.